← What Could Be Causing My Toilet To Run? It is a common misperception that every home is on the city’s sewer system. If you live in a rural area or a developing area, chances are you have a septic system and those require maintenance. It is important to know how to maintain your septic system to avoid costly repairs and gross overflows. Easy to forget about, your septic tank is hidden underground somewhere outside your home. If you do not know where it is, now is a good time to find it. You can keep a watchful eye out for the following signs there is a developing issue. Sinking in of the ground. These depressions in your lawn aren’t from a mole. They will roughly be in the shape of the tank. Pooling of water. During rain storms, it is common to notice a gathering of water in lower portions of your property. If you notice the water not quickly draining once the rain has subsided, you need to pay attention and call a local septic company. An odor. It is fairly unmistakable. Just think about all that goes into the tank and you will have a good understanding of what you could smell. Will Come Back To Bite You! 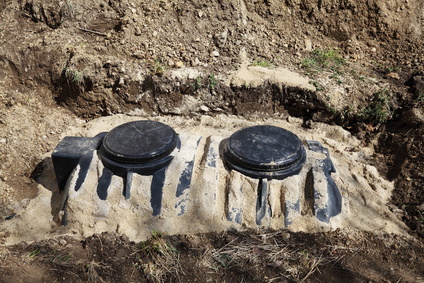 The most common issues that septic systems incur are with the tank. To replace a tank you would be looking at a hefty price tag over thousands of dollars. If a maintenance crew has to dig up your yard, you can expect to pay way more than you would have to if you follow these simple suggestions. Regular pumping. A truck will come out to your home and drain the tank to remove any of the harmful and toxic waste material. It is never a bad idea to have it pumped once a year, but depending on your tank and family size you could go longer. Use only products with the “Septic Safe” logo. Avoid chemicals such as dishwasher detergent and household cleaners with phosphorus. Never use harsh chemicals such as bleach, gasoline or paint thinner. They will destroy the good bacteria flora in your tank and quickly lead to sludge and backup problems. Do not flush personal hygiene items or put left over grease down the sink. All drains lead to the tank. Some additives may be beneficial to add good bacteria that aid in the breakdown of harmful waste matter, but this seems to be a mixed opinion. Septic systems can last for almost 30 years when properly cared for and maintained.